The subject of “shot peening” might need further explanation beyond a simple mention. Regardless, this cold work process for finishing metal parts owes its success to enhancement by continuous stress. During shot peening, small spherical shot bombards the surface of a part that is to be finished. 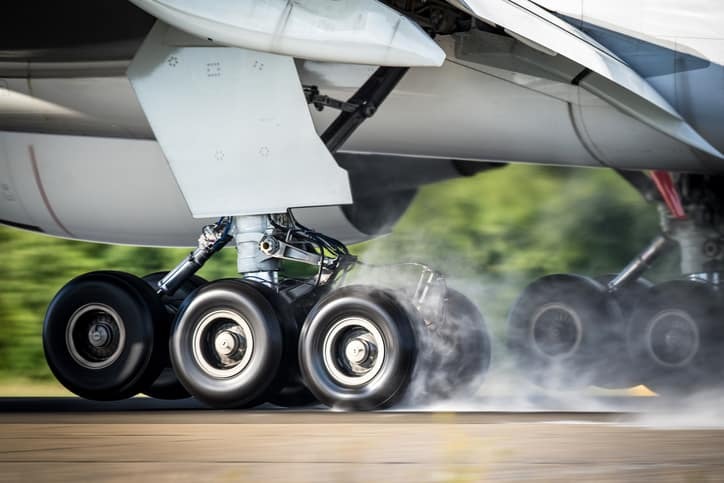 This part can vary, and some common examples, according to SAE AMS 2430U-2018: Shot Peening, include axles, springs (helical, torsional and leaf), gears, shafting, aircraft landing gear, structural parts, and similar items. Please note, however, that neither shot peening nor the SAE AMS 2430U-2018 standard are limited to these applications. The impingement of media—specifically metallic, glass, or ceramic shot—induces residual surface compressive stresses in metal parts. In this way, the shot acts like a peen hammer (hence the name “shot peening”), dimpling the surface that it strikes. As these dimples compound and the surface compression increases, the metal parts experience an increased fatigue strength and resistance to stress-corrosion cracking. Since shot peening is one of the most economical and effective methods of producing and making surface residual compressive stresses for enhancing the product life of treated metal parts, it is subject to and advanced by guidelines set forth by standardization. SAE AMS 2430U-2018 covers the guidelines for shot peening of surfaces of parts, detailing specifications and procedures for testing and specifically outlining acceptable shapes of the media used as the shot and factors like intensity, masking, peening, coverage, and equipment. It also includes ordering information, which is to be provided to the peening operator by the purchaser. Please note that ultrasonically activated shot peening, which is typically used to induce compressive residual stresses on the surface layer of metallic parts to a depth up to 0.040 inch (1 mm), is covered in SAE AMS 2580A-2013 (SAE AMS2580A-2013): Shot Peening, Ultrasonically Activated.